I've already been a long time fan of the Colleen Rothschild Radiant Cleansing Balm (read that review here) and recently chatted about the Sheer Renewal Cream in a favorites video, and now I am adding 2 more Colleen Rothschild skincare products to my love list. What initially drew me to the brand is how universal the products are and how they work for so many different ages and skin types. I also found that the products perform consistently and give great results. I can stop using them for a few months, add them back in on a whim and find my skin immediately responds well and stays looking great for however long I use them. Often my skin will have on and off cycles with skincare products for whatever reason, but I do have a small group of products that I've discovered over the years that never fail me. So far all of the Colleen Rothschild products I have tried fall into this category. 1. Extreme Recovery Cream - I could not have discovered this product at a more perfect time than while I am pregnant! My skin is dull, dehydrated and many days uncomfortably dry. As you can see from the above picture, the texture is rich but don't let that fool you into thinking it is too heavy for the skin. When I first tried it, I thought it felt almost fluffy (I believe that is the technical term) because it's so lightweight when on the skin. I find myself reaching for this when my skin is feeling extra sensitive, delicate or stripped of every last bit of moisture. They named this product perfectly because it really does help my skin recover! Even using it as a spot treatment on certain areas of my face has been another way that I incorporate it into my routine. I can imagine this will become a staple for me once the cold weather hits. 2. 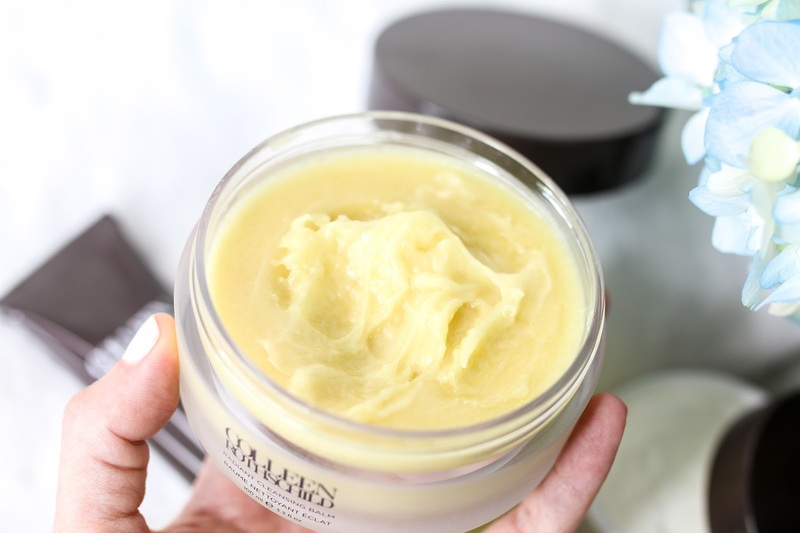 Radiant Cleansing Balm - The Cleansing Balm was the first product I ever tried from the line and it was an immediate hit for me. The texture manages to strike the perfect balance between solid and creamy, never being too oily and it breaks makeup down effortlessly. It does come with a cleansing cloth which is helpful but I find that in a pinch I can rinse it off without one and it emulsifies quickly and rinses away with no residue remaining. 3. 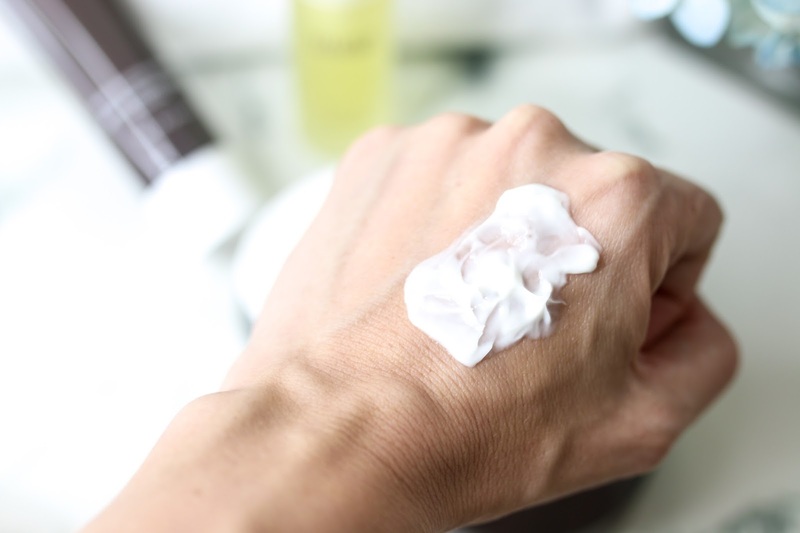 Sheer Reneweal Cream - This was featured in my recent favorites video and I mentioned how I've been using (and loving) this product for quite some time but never actually got around to reviewing it on the blog. Shameful! It's a lightweight cream/lotion hybrid formulated with various acids (lactic and malic) that help promote new cell turnover. What does this mean for my skin? It provides me with a gentle yet non-irritating exfoliation that makes my skin feel smooth and retexturized. I prefer to use this in the morning because it leaves a delicate powdery finish to the skin and even gives a slight blurring of imperfections which makes it the perfect base under makeup. As an added bonus, I also find that it helps my skin retain moisture and stay hydrated throughout the day. 4. Face Oil No. 9 - I have become a bit oil obsessed over the past few months and love using them on my face, body, hair - anywhere! But that being said, there are some oils that are still too heavy for my drier skin. Ideally, I prefer a medium weight oil that has some slip to it and can easily be absorbed after just a few seconds. This Face Oil No. 9 checks off all those boxes. It can tackle some serious dehydration, but never feels too heavy, greasy or leaves a residue on the skin. 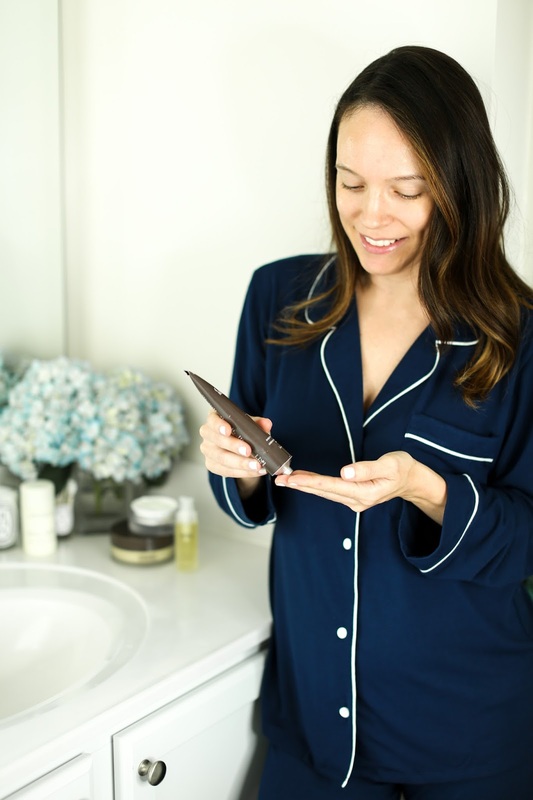 I have even begun adding it to my morning routine because it gives my face a fresh, radiant glow that doesn't look shiny and coupled with the Sheer Renewal Cream (which I wear on top because I still love how smooth and flawless it makes my skin look under makeup) my skin looks hydrated and balanced all day. For evening, I will use this oil as my last step and on nights where my skin feels ultra-sensitive, I will use it under the Extreme Recovery Cream. 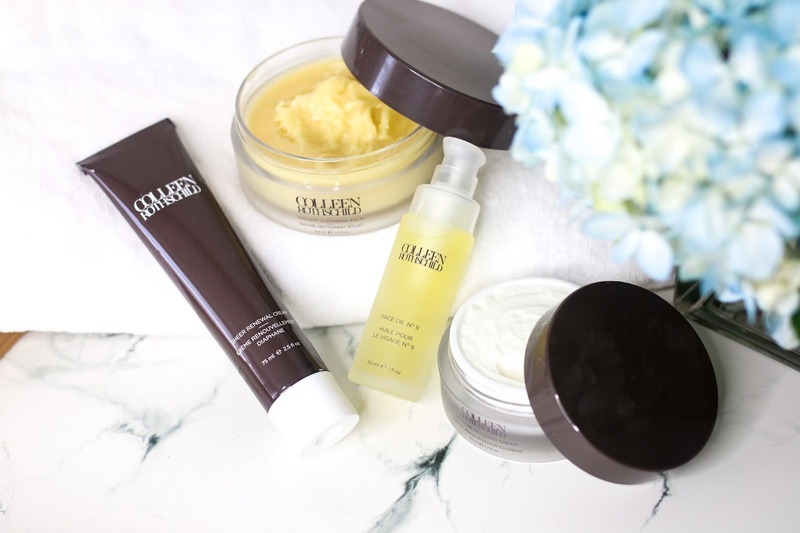 If you are thinking about trying the brand, I would recommend making the Radiant Cleansing Balm your first step because it's the perfect addition to any routine. 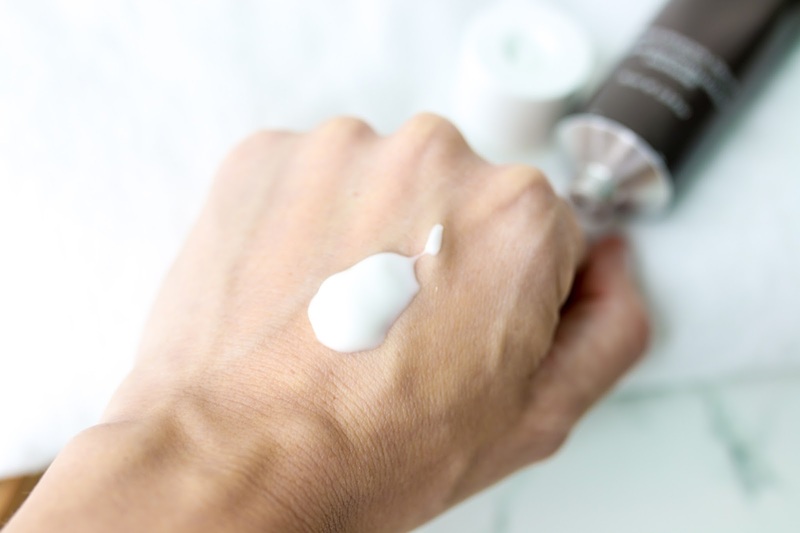 The Sheer Renewal Cream is a top seller for a reason, and works so well on various skin types so that may be a great second product to add from the line. Both the Face Oil No. 9 and the Extreme Recovery Cream are the ultimate in comfort for the skin and will really help deliver on moisture and hydration. I have actually never tried any of the masks from her line, but I plan on tackling those next. This mask seems like a must-have for great exfoliation, and this one sounds like it's perfect for a once a week pamper session. Scroll through the widget below for other products from her line that I want to try! Thanks to Colleen Rothschild for sponsoring this post. All opinions are my own and all results reflect my true experience with the products.